The Strategic Plan, which sets forth the vision, goals and objectives for the Codex Alimentarius Commission for the period 2020-2025 is currently under development and this week has been shared with all Codex Members and Observers for their input. 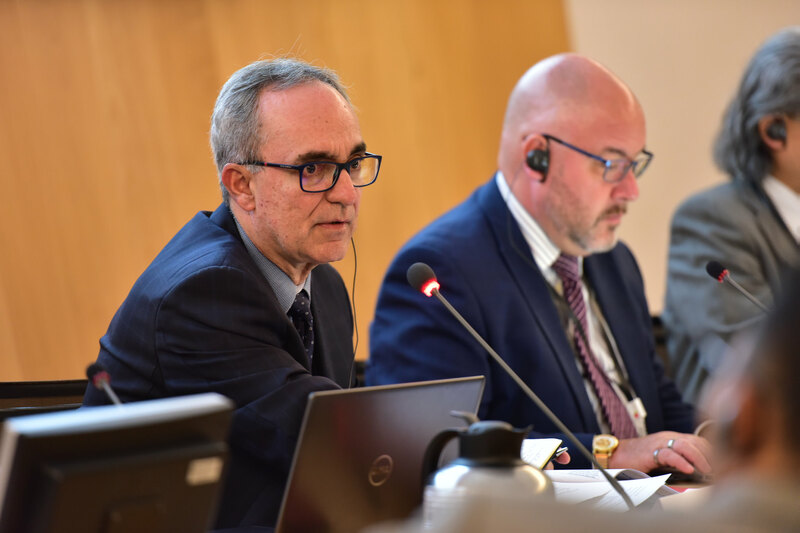 “The next Strategic Plan will define how we act together in Codex in this changing world of swifter communications and scientific developments with significant implications for food safety and fair practices in food trade,” said Guilherme Costa Jr, Codex Alimentarius Chairperson. “The Strategic Plan belongs to the Membership; the greater the contribution from all Members, the better the Codex Strategic Plan will be,” he said inviting the Partnership to coalesce around the main objectives on food safety and trade to ensure that Codex standards used worldwide to protect consumer health and promote fair practices in the food trade. “When we discussed the draft Strategic Plan at the Codex Executive Committee meeting this June, I was struck by the clarity with which colleagues from FAO and WHO each laid down challenges for us: first, we need to seize the agenda in thinking about means to address the 2030 Sustainable Development Goals; and second, as food systems are at the centre of global change, if we don’t change we risk becoming irrelevant,” explained Codex Vice Chair Steve Wearne. “When the Codex Executive Committee approved the draft Strategic Plan to share with Member countries, we noted that more work needs to be done, including further consideration of broader strategic issues relating to the development of the food and agriculture sector and how Codex may address challenges that arise. As I now search for authoritative global analyses of food system trends and challenges, I keep returning to and re-reading the 2017 FAO publication The Future of Food and Agriculture. If you don’t have time to read the whole report, check out the infographic” he said. With the draft Strategic Plan now out for comment, the Regional Coordinators, together with the Codex Secretariat, are working to ensure each of the regions is engaged in the development of the plan and can discuss and help shape the plan in the coming months. Members are encouraged to actively participate in the discussions convened in each region which will familiarize them with the plan and facilitate the commenting process. Codex Members and Observers are invited to provide comments on the draft Strategic Plan (2020-2025) by 30 November 2018 via the Codex Online Commenting System, where the draft plan is available in the English, French, Spanish, Arabic, Chinese and Russian.